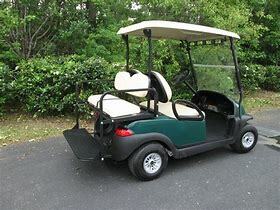 RENTALS - GOLF CARS UNLIMITED, LLC. Please call (337) 564-6613 for availability and reservations. *IF RESERVATION IS CANCELLED LESS THAN 2 DAYS PRIOR TO RENTAL OR NOT PICKED UP FOR RESERVATION A 1/2 DAY RATE WILL BE CHARGED TO CARD.